Nokia's brave Comes with Music service, which allowed you unlimited downloads for the price of the handset for a year, has had the DRM cracked just months after release. 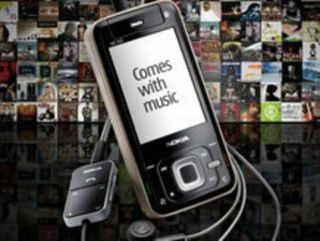 Tunebite software will strip away the DRM that Nokia has clung to so desperately as it attempted to try a new move in offering tunes to the mobile public. The software is available for download for just €20 (£17.50), and works by playing the songs at hi-speed, and re-recording the song without the pesky DRM. The site claims it's a legal way to circumvent copy protection, essentially working in the same way as burning the tracks to a CD then copying them back onto the PC. But Nokia's CwM service won't allow burning from the unlimited tracks, so although they are yours to keep forever, they have to stay stuck on the device. Although this will inevitably lead to cries of piracy, the likelihood is that many people will simply use the service to play the music on other devices. We've contacted Nokia for comment on whether it will be taking measures to prevent the software, but from the outside it seems unlikely anything can be done.